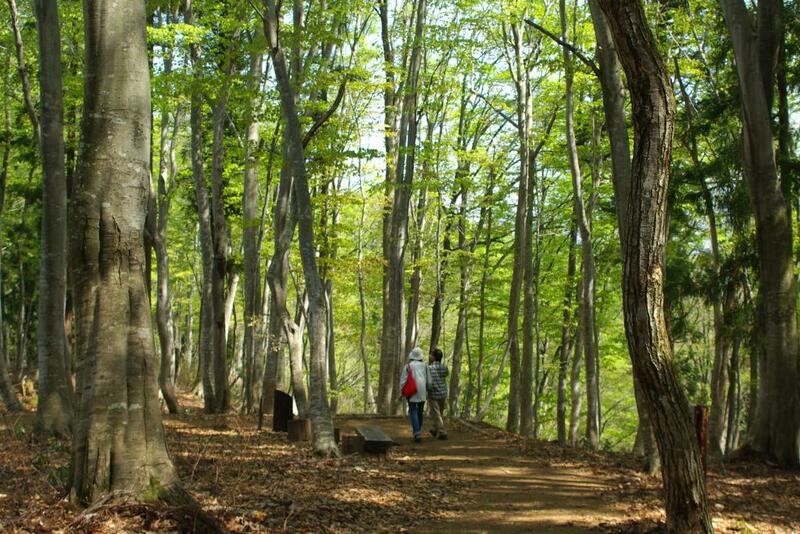 Go Trekking for a Picnic in Nabekura's Beech Forest. 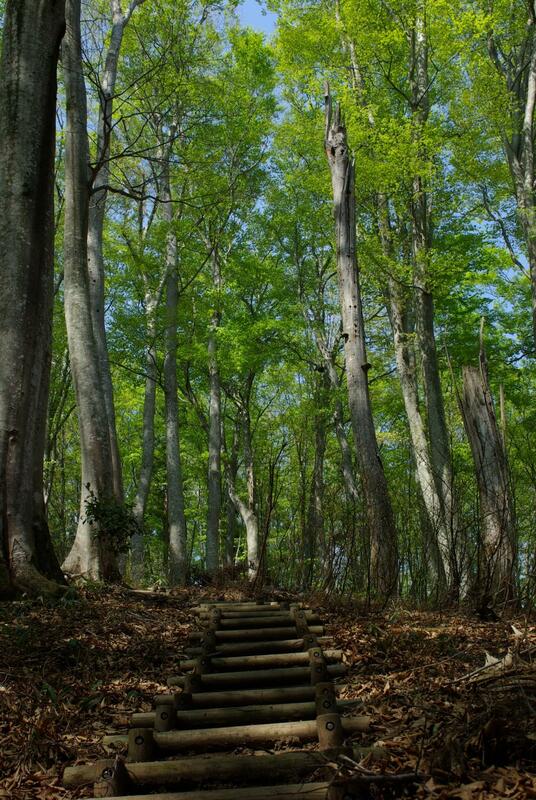 Nabekura's expansive beech forest is the perfect place for 'forest therapy', to take in the fresh air and natural power of the trees. Participants can choose a drink and some sweets to take with them for a picnic in the forest. Nearby is a timeworn village with 100-year old farmhouses giving a sense of Japan's countryside past. Available only in the Activity Center lobby. Activity Center closed Tuesdays except if holiday or during peak season. Green Season trekking is generally from late Apr. thru Nov.
Trekking maps and explanation available to explore the forest by yourselves. If you prefer having a guide, they are available for 10,000 yen. From Iiyama Station(JR Hokuriku(Nagano) Shinkansen), change to the JR Iiyama Line and take a local train to Togura-Nozawa Onsen Station. Then by taxi (15 min). From Toyota-Iiyama IC, via Route 177, approx. 40 min.